Imagine the difficulties of communicating a color change without precise definitions or physical examples. As a textile colorist, I was stymied translating a variety of adjectives to dye amounts. Albert H. Munsell, a professor at Massachusetts Normal Art School (now Massachusetts College of Art and Design) was faced with a similar challenge. His solution was to invent a new way to organize colors and an accompanying color atlas. The key invention was Chroma, a measure of chromatic intensity at constant hue and lightness. This new dimension of color was remarkable since mixtures of artist materials such as a tint series do not maintain constant lightness. Munsell had to divorce himself from producing color and consider color conceptually. This presentation will explore how Professor Munsell came to develop his new system, its properties, and its evolution during the 20th Century. Working together with Rolf Kuehni, author of Color: An Introduction to Practice and Principles, Color Space and Its Divisions: Color Order from Antiquity to the Present , and Color Ordered, we will present a visual history of color order systems. The spectrum of light varies continuously but languages parse this continuum into a small number of discrete categories. The bases for these categories have been studied extensively but remain unresolved. Armed with Munsell's palette, Berlin and Kay sampled color terms across a wide range of cultures, revealing strong similarities in color categories. However, in the decades since there continue to be new challenges and insights about color perception and color naming, work that bridges perception and cognition, and the individual and their environment. I will review these developments and our current understanding of the nature and meaning of color categories. The methodology used in my latest research on color names is quite innovative as it requires each participant to freely produce on a calibrated monitor the color stimulus whose perceived color is the best representative of a number of specified color terms. We chose those monolexemic terms that in Italian are most frequently used to refer to the range of colors which cover the whole color circle, divided into its four main quarters. The goal of the research was to find out what colors are meant by specific Italian terms and to check whether some Italian color names are either particularly well defined or confused with others. During the presentation I will share the details of this research and show how the resulting color circle is characterized by eight colors of which four are unique, and four are mixed perceptually intermediate. It would be important to repeat the study cross-culturally to test for similarities and differences in color meanings with speakers of different languages and do the groundwork for an adequate translation of color terms. Successful imaging performance assessment requires established performance goals, efficient test plans, and periodic performance auditing. All three of these require the selection and adoption of references against which to gauge imaging “goodness”. In many cases the use of common color elements such as those comprising the ColorChecker® test target is sufficient. However, we find that color imaging of cultural heritage content, especially collections predominated by near neutrals (e.g. paper, vellum, parchments), limited color gamut (e.g., watercolors), and near singular hues (early photographic prints), can be challenging. The capture of small color differences is not only important but problematic, largely because the color targets used today to calibrate or profile digital capture devices were not designed to discriminate the subtle color gradations of such content. These and other important examples of how test targets can be customized for optimal color reproduction, as well as non-visible forensic investigations, will be presented. We will also look toward the future in which targets might also take on new textures, shapes, and characteristics that probe and test for more dimensions of color appearance. Lastly, emerging multi-spectral and 3D modalities will open a whole new landscape of possibilities for color calibration, consistency, and reproduction. 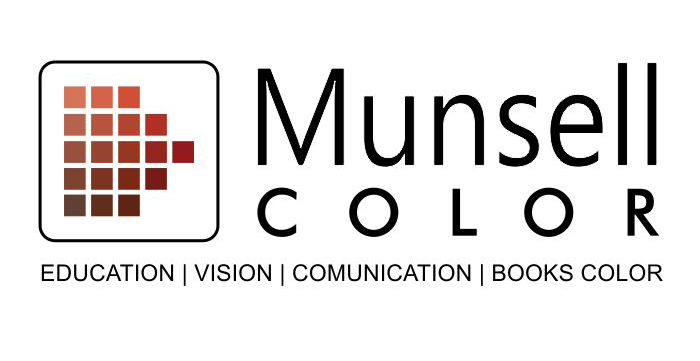 One of the great legacies of Albert Munsell's work to create the Munsell Book of Color and to found the Munsell Color Company was the creation of the Munsell Color Foundation, Inc. in 1942. This presentation will review the history of the foundation and its purposes during its 40-year life. Additionally, Munsell's ongoing legacy will be reviewed through the Foundation's dissolution in 1983 with the creation and endowment of the Munsell Color Science Laboratory at the Rochester Institute of Technology. The laboratory is now entering 35th year and has a lifetime of impact commensurate with that of the foundation itself. In honoring Munsell, we will also take a look at his impact on nearly four decades of color science students at RIT. The presentation will conclude with thoughts on Munsell's future legacy and the multidisciplinary fusion of color in the arts, the sciences, and applications.